Australia’s most loved scientist Dr Karl Kruszelnicki AM will headline the 2019 Luminosity Youth Summit in July. At the Summit’s launch on March 7, co-founder and chair Kate Wood-Foye said the underpinning theme for this year was to look towards the future with compassion, vision and innovation tagged as the official day themes. 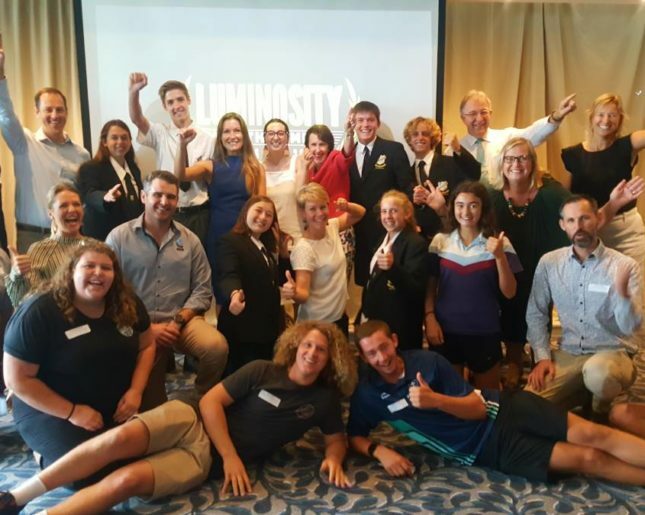 “We are so excited to be able to launch the Luminosity Youth Summit for 2019 and with an incredible line up of speakers and workshops planned it will be our best summit yet,” Mrs Wood-Foye said. “By the end of 2019 we will have had 2200 young people graduate from the program which aims to foster purpose and wellbeing among our emerging leaders. The Summit will be held in Port Macquarie at the Glasshouse from July 24-26. In 2019 it is expected that 450 emerging leaders attend the three day event in July and with national recognition 150 of those Summit places will be allocated to young people outside the Hastings. “We are very excited to be nationally recognised and are really getting back to the core reason for why we wanted to start Luminosity in the beginning,” she said. The lineup for 2019 includes Dr Karl Kruszelnicki AM, Nadine Champion a martial arts sensi and author, Dr Jordan Nguyen a biomedical engineer, magician and escapologist Cosentino and local artists Tim and Stephanie Maddren.